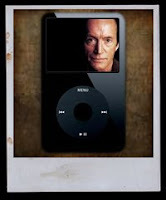 BACKTOFRANKBLACK.COM: Lance Henriksen/Fangoria Radio interview now available as podcast! Lance Henriksen/Fangoria Radio interview now available as podcast! Last week Lance Henriksen did an interview with Fangoria Radio promoting this campaign to bring back Frank Black. That interview is now available for download as a podcast on ITUNES. It's a great interview with information about Millennium, the possible future of the show and some great banter between Lance and the crew of FANGORIA radio! "Subscribe today to hear highlights from last week's FANGORIA RADIO show, including legendary genre veteran and Fango fave Lance Henriksen who stopped by to fill us in on what he’s been up to, and how to get involved in the campaign to bring his cancelled-too-soon show MILLENNIUM to the big screen." All clips are listed in the iTunes Store under the "Podcasts" tab. Click here to open the page on iTunes, or simply search for "FANGORIA". We thank Lance for his time and Fangoria for their support. 2 Responses to "Lance Henriksen/Fangoria Radio interview now available as podcast!" Very enjoyable interview. Always great to hear Lance talking about Millennium. Thank you! OH NOBLY BORN - BARDO THODOL IN 3D!